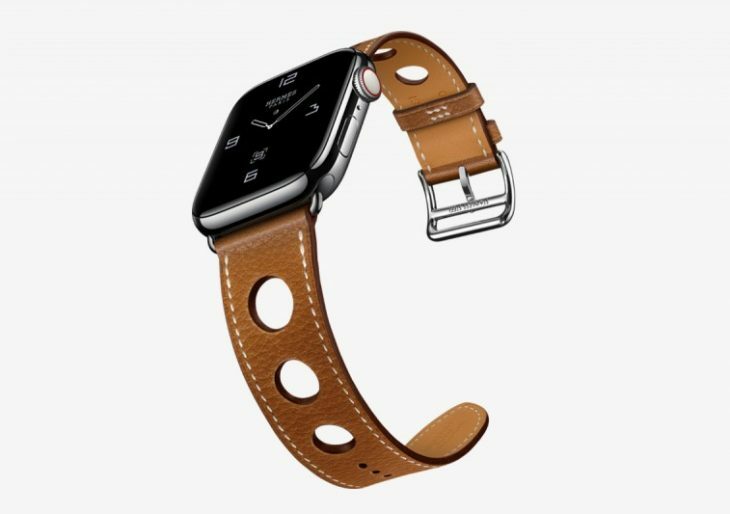 In conjunction with the introduction of the Apple Watch Series 4, Apple recently debuted pieces from its most recent collaboration with design house Hermès. Just in time for the newest iteration of the megapopular Apple Watch, the French luxury label partnered with the tech brand to create a stylish new collection. Customers looking to stand out from the crowd can choose from four new Hermès Apple Watch bands and one Hermès Sport Band. Hermès’ Single Tour band is a classic look boasting design cues that recall the brand’s equestrian history. The simple band is available to fit both sizes of the stainless steel case, and comes in four colorways. Additional colors are available separately. The Double Tour is effortlessly chic, featuring a long leather band that wraps twice around the wearer’s wrist. The watchband is available in four colors, and is designed to pair with the 40mm stainless steel case. Possibly the most striking creation is the Single Tour Rallye, which pays homage to classic auto racing. Similar in style to the Hermès driving glove, the accompanying strap is available in Fauve Grained Barenia calfskin, and is designed for the 44mm stainless steel case. Last, but not least, is the Single Tour Deployment Buckle. Classic and stately, this band adds a fun twist with a hidden deployment buckle. The Single Tour Deployment Buckle is available in Ébène Barenia leather and Fauve Barenia leatherFit, and is designed for the 44mm stainless steel case.